Good old Charles. You love the guy because he doesn't have a filter. I know this was when he thought he wasn't on TV, but still I think Charles is so unfiltered he would've said this same stuff while on live, he just doesn't care. Funny stuff from all of the crew in this video though, from Kevin Harlan saying that the game is "terrible", to Reggie Miller scoffing at the idea of Dwight Howard even considering going to Atlanta. 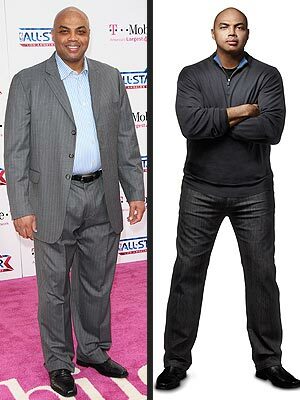 Bright side for those of you considering getting help on a New Year's Resolution of losing weight via Weight Watchers, is that Barkley says he has lost 38 pounds. So it's not like it isn't working, the scam I think he is talking about is that he is getting paid to do it. Either way this was a fun peak behind the scenes to see what these guys talk about during commercial breaks.